Why do I keep losing weight for no reason? We are living in a time where most of the urban population wants to reduce the weight.In such a situation,if we were to lose weight suddenly without doing any efforts then something is not good in the body.Changes occurring in or around our body are due to some reason.So,if you are losing weight suddenly without exercise or diet,look at those factors due to which this change will occur in your body. 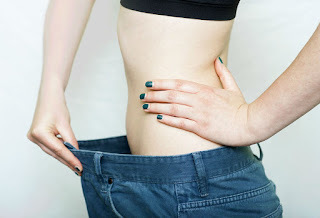 Most of us people grow or decrease some kilos of weight every year,which is considered normal under the body's working process.But if your body suddenly loss five percent or more without changing the diet and physical activity you should contact your doctor immediately,so that they can find out that there is no disturbance in the body. Let's know the sudden weight loss can be an indication of the some diseases. In many cases,it has also been seen that when we go into depression our body weight go down because of lack of appetite,too much stress.You should immediately consult a good psychiatrist.Depression can be relieved with help of early counseling.If things go ahead,then counseling can be used along with anti-depressants. In a short time and with no effort to lose weight,there is a sign of many types of cancer,tumors or ulcers.If you feel that weight is being reduced without any reason,then contact doctor.It may be that there is no nutrition in the body due to any type of tumor or inflammation.Often in these cases,the doctors first inspect the food pipe,there is no tumor in it to detect it. People who have diabetes and insufficient amounts of insulin,the body is unable to use the glucose present in the blood properly.The result is that the body starts using fat and muscles to meet its energy needs.It causes weight loss very quickly.So go to doctor and consult.